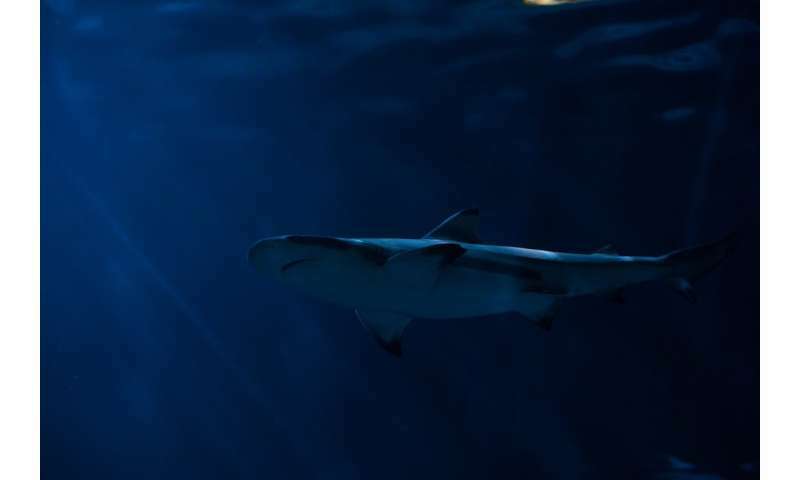 A team of researchers with the University of Chicago, University College Dublin and Cambridge University studying a 385-million-year-old shark fossil has found evidence that suggests humans and sharks shared a common ancestor approximately 440 million years ago. The researchers were studying a shark specimen found in Germany back in 2001. At the time, it was believed the shark was toothless, and for that reason, scientists gave it the name Gladbachus adentatus. In this new effort, the researchers conducted a much more thorough study of the remains, and in so doing, discovered that it represented a transitional species between acanthodians and chondrichthyes. This bit of evidence offered a better picture of a time period for which there are few fossil records. 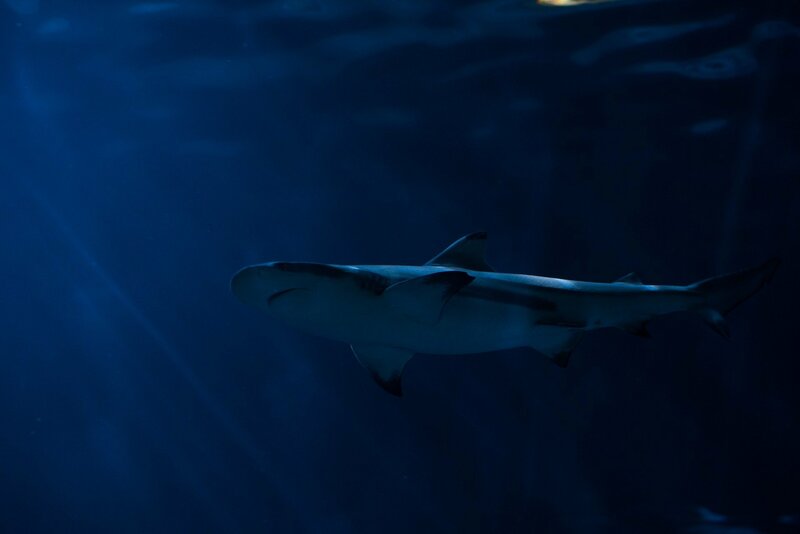 It suggests a new estimate for the time during which humans and sharks shared a common ancestor—approximately 440 million years ago. The specimen is the only one of its kind ever found—that of a shark that lived approximately 385 million years ago, during a time period known as the Devonian, which lasted from 416 million to 358 million years ago. The remains consisted of three sections, all compressed flat in resin. The resin casing preserved much of the endoskeleton, which allowed the team to collect tissue samples. Also preserved were teeth, a cranium, cartilage and gill details. The team studied all of the parts using CT scans, which gave them a more complete picture of what the creature once looked like. The researchers note that the body of the specimen looked like a sheet of scales, and that the bones in its head were very coarse. The researchers also note that even as study of the specimen has clarified some of the evolutionary history of sharks, it has also complicated understanding of their lineage—they found evidence suggesting that shark evolution has many branches, several of which appear to have converged, leading to characteristics found in modern sharks such as a long throat and multiple gill slits. Their study also confirmed that G. adentatus actually had an abundance of teeth, both small and large. Although relationships among the major groups of living gnathostomes are well established, the relatedness of early jawed vertebrates to modern clades is intensely debated. Here, we provide a new description of Gladbachus, a Middle Devonian (Givetian approx. 385-million-year-old) stem chondrichthyan from Germany, and one of the very few early chondrichthyans in which substantial portions of the endoskeleton are preserved. Tomographic and histological techniques reveal new details of the gill skeleton, hyoid arch and jaws, neurocranium, cartilage, scales and teeth. Despite many features resembling placoderm or osteichthyan conditions, phylogenetic analysis confirms Gladbachus as a stem chondrichthyan and corroborates hypotheses that all acanthodians are stem chondrichthyans. The unfamiliar character combination displayed by Gladbachus, alongside conditions observed in acanthodians, implies that pre-Devonian stem chondrichthyans are severely under-sampled and strongly supports indications from isolated scales that the gnathostome crown group originated at the latest by the early Silurian (approx. 440 Ma). Moreover, phylogenetic results highlight the likely convergent evolution of conventional chondrichthyan conditions among earliest members of this primary gnathostome division, while skeletal morphology points towards the likely suspension feeding habits of Gladbachus, suggesting a functional origin of the gill slit condition characteristic of the vast majority of living and fossil chondrichthyans.